It is a cause of great happiness that, among all living beings, we have escaped from the 3 lower realms and have been born human. Though one's station in life may be low, it is not worse than animal existence; though poverty stricken, it is not like the land of the hungry ghosts; though we experience pain in our hearts, this is not comparable to the suffering of the hell realms. Even though we live in a world where hatred abounds, the wish for enlightenment can still arise, and we can be grateful for the possibility of a favourable rebirth. In fact due to Amida's deep Original Vow, all who ask are certain of birth in the Pure Land. If one is able to receive the Nembutsu and chant it with aspiration to meet the Buddha in the Pure Land, this is an act of tremendous virtue and merit. For such people, coming into contact with the Original Vow is truly a joyous occasion. We know that distracted thoughts are a part of common everyday life. In fact there are nothing but these distracted thoughts. But if, just one time at the moment of death, the common man is able to remember in his heart the name of the Buddha Amitabha, that Buddha seated on a Lotus Throne will come to meet him, transforming distracted thoughts into the Pure Awakened Heart. Remembering the Buddha in the midst of distracted thoughts is analogous to the lotus which grows from out of the mud without being smudged. Therefore we should set aside doubt and make the decision to take birth in the Pure Land. 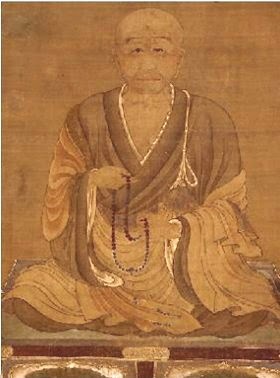 Even though troubled by distractions and lamenting a shallow heart, we should continually call the Name [Namu-Amida-Butsu] from deep within.